Hunter Douglas® is an interior window design company. 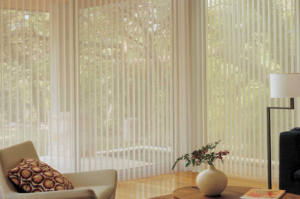 Hunter Douglas® offers a wide array of motorized window treatments for the modern and smart home. These intelligent shades can help simplify your life as well as qualify you for up to a $500 Federal Tax Credit. On top of ease of use, Hunter Douglas®’ motorized window treatments also offer the very best in pet and child safety. Whether it’s hidden cords or otherwise, Hunter Douglas designs every window treatment with responsible safety in mind. 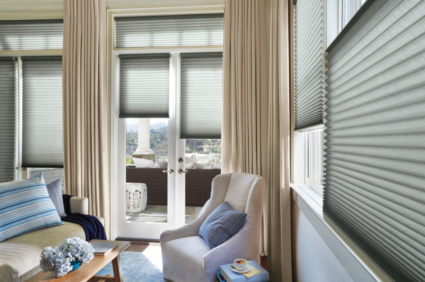 Hunter Douglas offers premier window treatment options including roller shades, roman shades, cellular honeycomb shades, shutters, blinds, and even vertical blinds. Hunter Douglas is also the manufacturer of Silhouette®, Pirouette®, Solera®, and Vignette® premier shade styles. Burton Custom Decor is committed to helping you decide the best shade not only for your lifestyle, but also that fits the design of your home. If you’re not sure what to choose when it comes to your window decor, we can help. 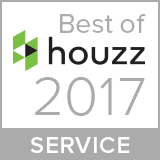 With our come-to-you service, we’ll bring everything you need to make an informed decision on your custom or premier blinds and shades. Hunter Douglas’ custom window shade Silhouette® line has a specific S shaped vane that appear to “float” between two sheer panels, making this line a chic choice. 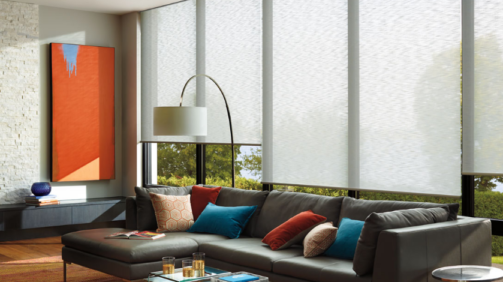 Hunter Douglas’ Pirouette® line allows for an infinite combination of light control. 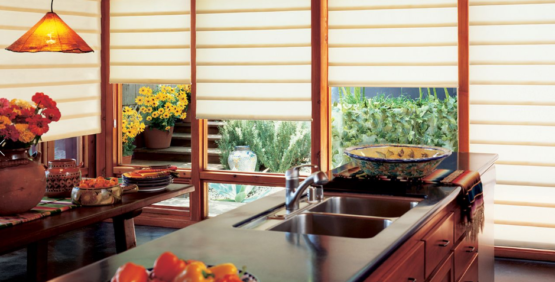 These shades utilize Hunter Douglas’ InvisiLift system to give the appearance of floating shades. Plus, their three-dimensional structure is striking in any room. Hunter Douglas’ Luminette® window sheers offer a beautiful alternative to vertical blinds. 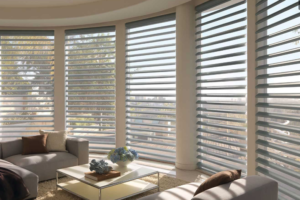 They include vertical fabric vanes that can rotate a full 180 degrees, offering you the look of window sheers with the option of light and privacy controls. With more options such as Solera®, Sonnett®, Vignette®, and more, Hunter Douglas shades are sure to offer you a variety of solutions for your interior window design project. Let B. Burton Custom Decor help you choose a fantastic shade or blind to match your lifestyle!